So this is a weird one. A software pirate has been spared from paying damages by simply racking up some YouTube views. The 30-year-old Czech man, identified as Jakub F, was estimated to have caused losses to Sony Music, HBO Europe and others. Microsoft alone claimed losses of 5.7m Czech Crowns (about £148,000/$223,000). However, he was told that the lawsuit would be lifted on the condition that an anti-piracy video - which he produced - got at least 200,000 views within two months of its publication. And it did. The video, titled The Story of my Piracy, currently has more than 400,000 views. It depicts the story of how Jakub spent his time pirating software before the law caught up with him. It probably won't make the Oscar Best Short list, but it saved Jakub F a hefty sum. The BBC reports that the companies, which agreed to Jakub's cooperation in the video, would still receive a "small payment". "I thought that I wasn't doing anything wrong. I thought that it didn't hurt the big companies. 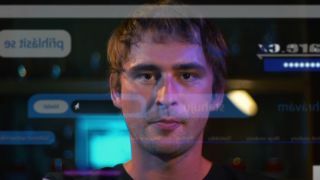 I didn't even do it for the money, I did it for fun," says Jakub in the video, as translated by Torrentfreak.